Rinse the meat under cold running water and pat dry with a kitchen paper. Cut into bite-sized pieces and set aside. Peel the onion and cut into wedges. Rinse the cherry tomatoes and set aside. In a large bowl, whisk together olive oil, thyme, rosemary, salt, and pepper. Submerge meat and vegetables in this mixture and wrap the bowl in plastic foil. Refrigerate for at least 30 minutes. Preheat a large grill pan over medium-high heat. Remove the meat from the refrigerator and brush the skillet with some marinade. 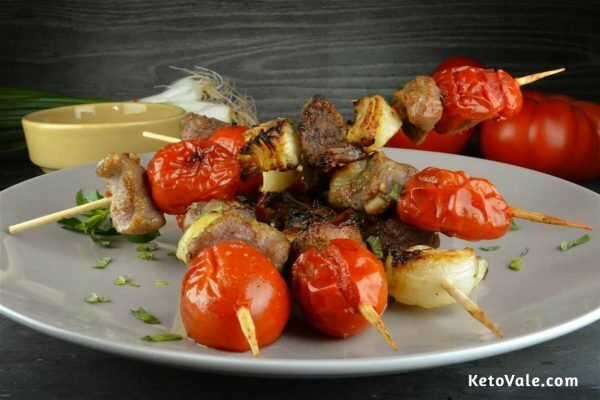 Divide the ingredients among 6 skewers. Grill for 7-8 minutes on each side. 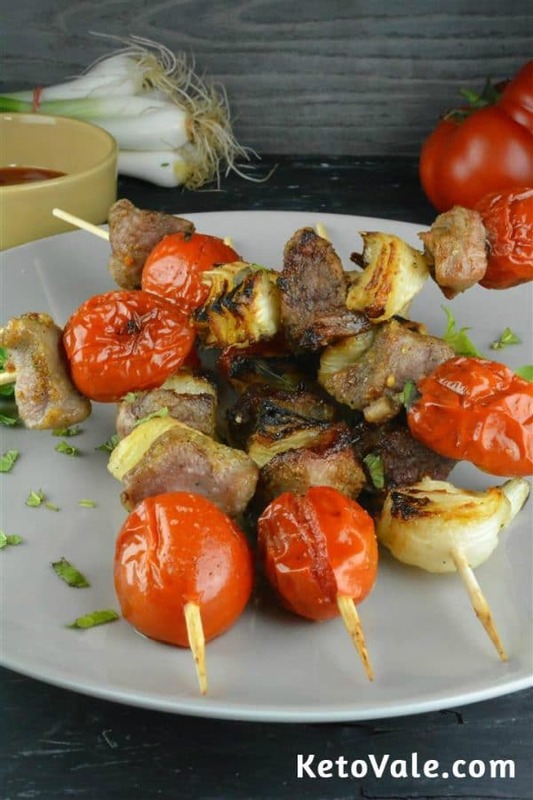 Whisk the ingredients together and use to marinate your meat and vegetables. Have fun!